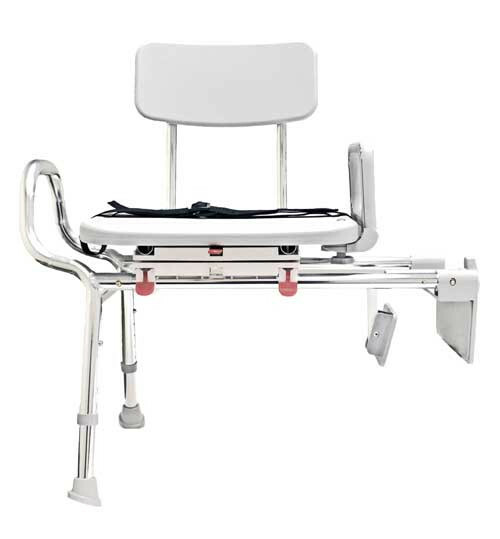 The newly improved Snap-N-Save Sliding Tub-Mount Transfer Bench with Swivel Seat and Back is not only a secure solution to getting in and out of the tub, but makes entry and exit a snap. Its design also saves time and needless fear of the task at hand. This improved model is constructed with a high quality, rust-proof aluminum. Although it is lighter than its counterpart, the bench is stronger, supporting a weight of up to 350 lbs and therefore secure and easy to remove, if necessary. This new design offers a cost-effective approach. It's a far less expensive option than changing out the tub to a walk-in version, and a practical solution for a smaller bathroom. The entry side of the bench mounts to most tub walls for space savings. The unit attaches within the tub for less water to escape from the shower and allows for a regular shower curtain to be used. 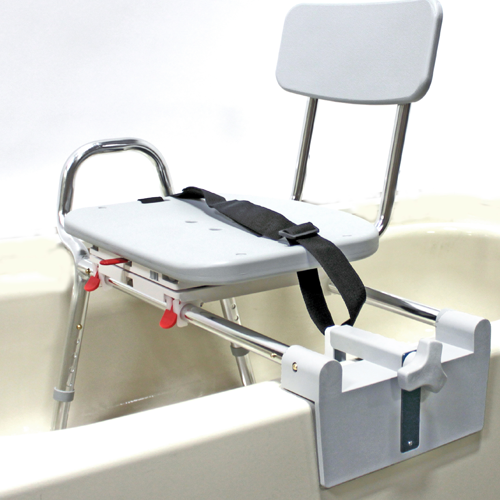 The transfer bench with swivel seat feature is a must and is a life saver in assisting the entry and exit from the tub. 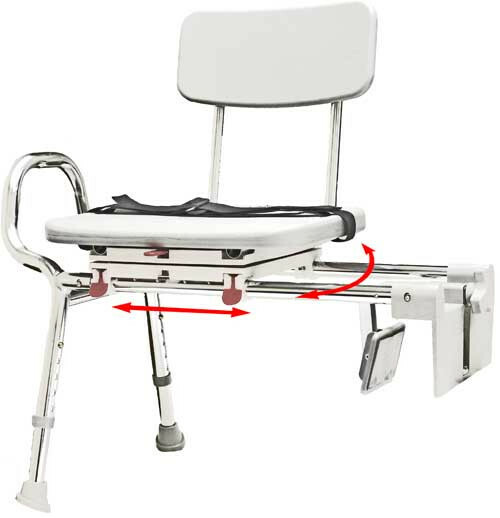 The hand levers can turn swivel seat 360 degrees with a locking mechanism at every 90 degrees. The seat glides over polished, high-strength aluminum tubes with double sliding locking feature giving users peace of mind that the seat isn't going anywhere. 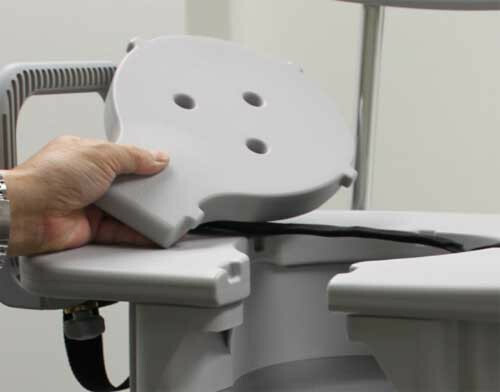 The bench can be installed at a preferable height such as bathtub clearance or to the varying height of a wheelchair for a seamless transfer. The sturdy plastic seat and back keeps user in a safe sitting position with the backrest. The seat and back is molded for comfort and has a textured finish for more traction. Seat holes provide necessary water drainage. A seatbelt is also included for those who are concerned about falling.